The title of this post comes from a song by Eros Ramazzotti about whom I have written previously, more than once. Musica è or Music is. Recently I read what music means to Crushed and it started me thinking about what music means to me, what part it plays in my life. Looking back on growing up, in Australia, the only source of music in our house was the radio, one radio, or the wireless as we called it then, with about three or four stations as I recall: an official Australian Broadcasting station, ABC and a few private ones. Everything came through that source, the news, sports broadcasts like cricket and rugby, radio serials, comedy shows like the Goon Show and music. Whatever they broadcast. Their choice, not yours. 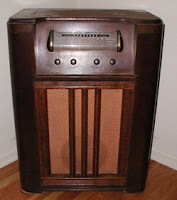 In fact the golden era of radio was right after the Second World War. Naturally, as a child, I had no choice in the matter of the radio, neither when we listened nor about the station. I had a much older brother as well and his choice came before mine. So music in our home tended to be almost non existent. 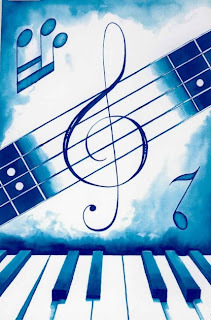 Not till high school did we have an official music education program and we were introduced to classical music on records and I became a member of the choir, for I was a half decent alto. What little music there was in my life tended to be classical. My brother had taken to going to free symphony concerts which the Sydney Symphony Orchestra put on regularly and he often took me along. I did learn to love the violin and would have loved to have taken lessons but in our family there no money for luxuries like that. I suppose popular music was dance music but I never learned to dance and didn’t go to the Saturday night dances which seemed to be a large part of one’s social life when I was a teenager. Television came to Australia in 1956 but we did not have one until just before I left home in 1960 to go to England. So as far as music in general was concerned my life was a bit of a barren wasteland. Although when I was in university I did belong to a very large choral society for some years so I knew that area fairly well. In London I went to lots of musical productions and symphony concerts with my friends and a large variety of music became a part of my life. In 1961 I married a man for whom music was an integral part of his life, well classical music that is. He grew up with a father who was a clarinet player in the Sydney Symphony Orchestra and the ABC Military Band. At one point they had 14 pianos in their house for his father was also a piano restorer. When we got married he had a stereo with a quite large record collection, all classical so this is what I heard in our house and came to love too. Needless to say we both missed out on the change in music in the sixties, the rise of rock and roll, although I developed a taste for folk music and bought lots of records. I even bought a guitar and took lessons and became a “folk singer”, mostly for my own enjoyment, sometimes in my children’s schools. So music became more important in my life and certainly my children had all the opportunities for music that I never had. Both learned to play instruments, both had their own stereos with their own choice of music, naturally not ours. We owned one of the very early CD players and when you went to the music store, you didn’t say do you have the X version of the Beethoven Violin Concerto, you said do you have the Beethoven Violin Concerto on CD and bought whatever they had. Now we have CD players in every room and hundreds of CDs everywhere. But the really big change in music listening came from the iPod. Less than seven years ago the first one rolled off the production line. What a magnificent technological advance. Now music goes with you everywhere. Your choice, no one else’s. Even I have one, as I wrote before and I love it. You have total control over what you hear. So much better than our old Sony Walkmans. Recently I have decided to explore the areas of music I missed in the earlier days and have been buying some old classics of the rock era as well as borrowing some from my son. Pink Floyd, Radiohead, Led Zeppelin, Eric Clapton, U2, David Bowie CDs sit by my player at the moment. I can’t say that I have learned to appreciate them yet but I am giving them a chance. The last fifty years have been an explosion in musical development. Here, technology and knowledge have led the way. In music, man has made huge strides over the past few decades. Eros, in concert, singing Musica è. Enjoy!